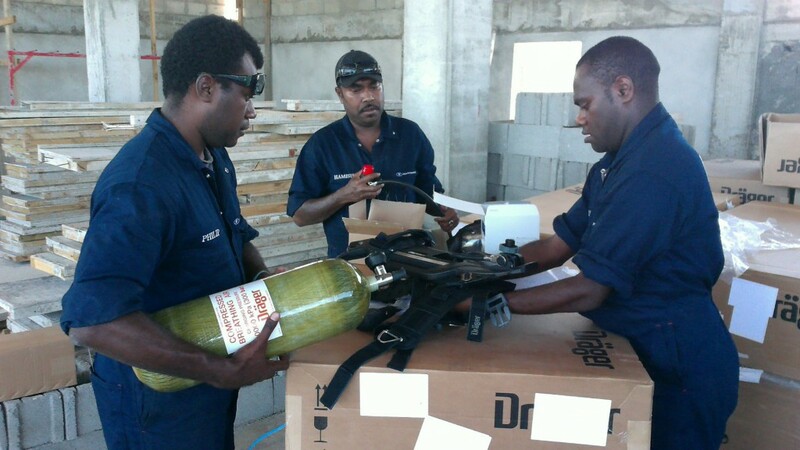 The AVL Rescue Fire team were on hand to unpack and inspect the new equipment. The apron expansion is approximately 2,150 square metres and involved the construction of a new base and asphaltic surface. The expansion enables larger (Code E) aircraft, like Air New Zealand’s B777 and B787, to park on the apron whilst still allowing other aircraft to enter, park and exit on the far eastern gates of the apron. 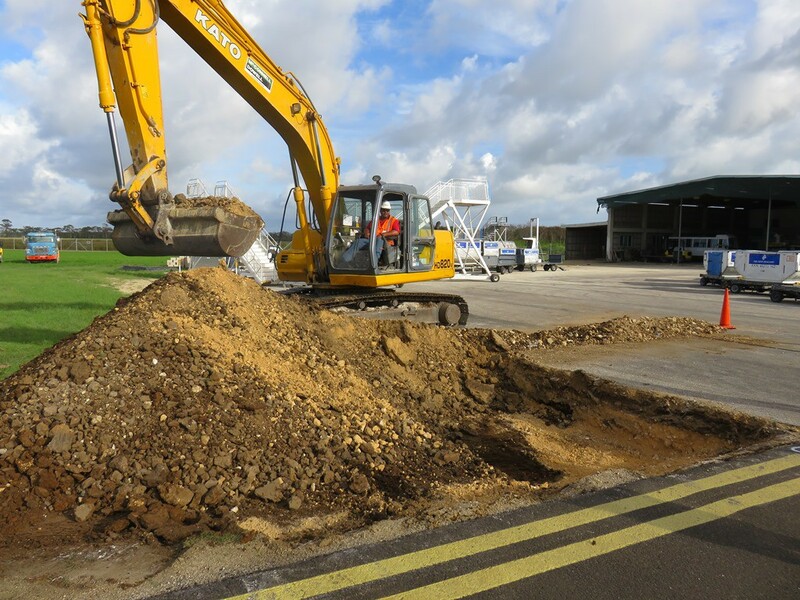 The completion of the multimillion upgrades to Tonga’s international airports, Fua’amotu, Tongatapu and Lupepau’u, Vava’u supports increased aircraft operations to the Kingdom of Tonga. 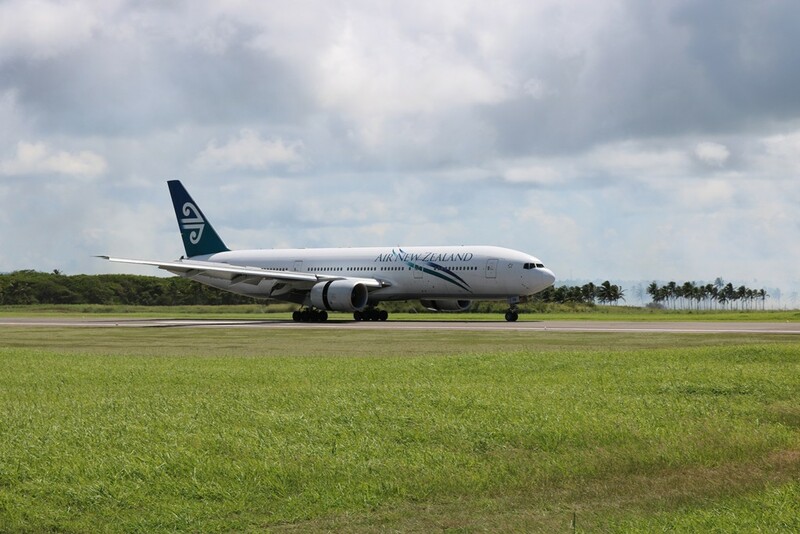 Air New Zealand’s Boeing inaugural B777-2000ER landed at the Fua’amotu International Airport on the 1st of April 2016 and it’s the first Air New Zealand 777 aircraft to land in Tonga. 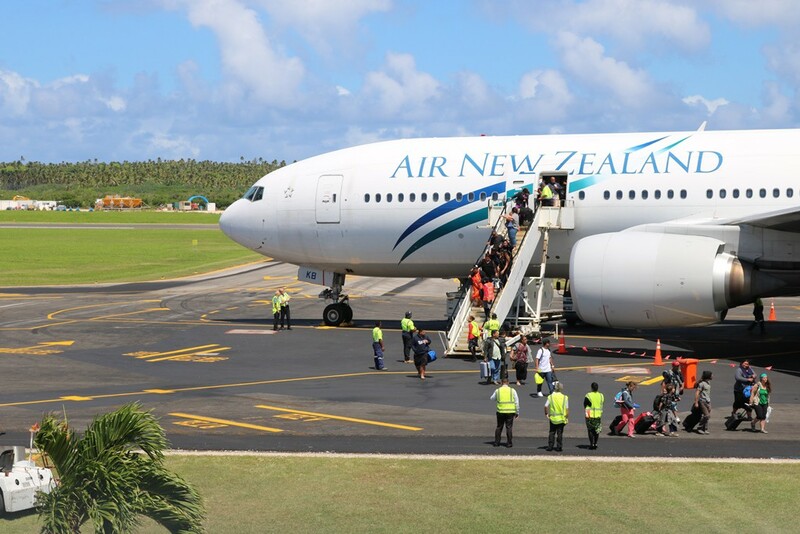 Tonga Airports Ltd has now also received the B787 aircraft from Air New Zealand later in April so major milestones for aviation services in Tonga. 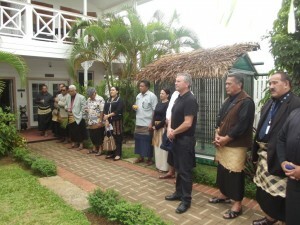 TFSU hosted a regional project implementation workshop in Tonga from 19th – 21st August 2015. The workshop focused on project implementation and representatives from each PAIP country were in attendance. The first PAIP workshop was held in 2013 and found it to be useful opportunity not only to work through some familiarities on project implementation and regional program considerations, but also to network with the other aviation project teams. 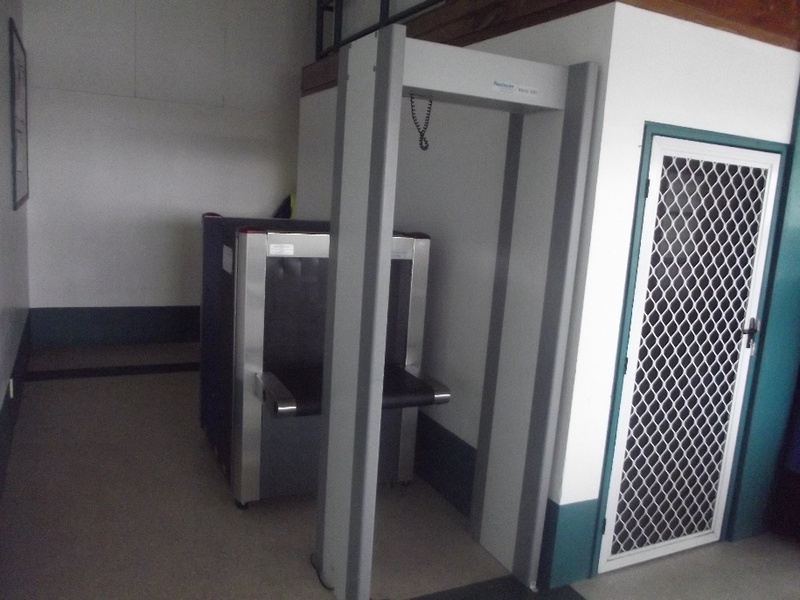 An upgrade of the Lupepau’u International Airport in Vava’u was completed with the renovation work providing new toilet facilities, updated directional signage which has been installed throughout the terminal and an upgrade to the check-in counters. 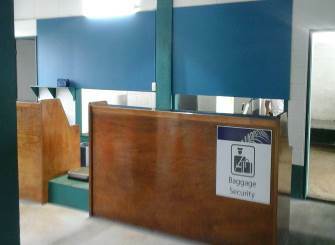 The refurbishment works have also been timely with the introduction of direct services from Fiji Airways flying from Nadi. 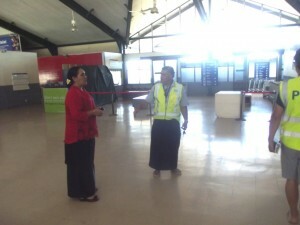 TFSU says farewell to the Tonga Project Manager for the Tonga Aviation Investment Program, Ms. Helen Po’uliva’ati-Toli. Helen started with the Tonga Project in March 2014 and finished today, Friday, 13th February 2015. The PAIP Program Director and Program Manager wish to acknowledge and thank Helen for her dedication, hard work, and enthusiasm during her time managing the Tonga Project. We wish you all the best for 2015 Helen! The pre-bid meeting for the terminal building improvements was held yesterday at the Domestic Terminal conference room at 1pm. Representatives from foreign and local contractors were present. The purpose of the meeting was to clarify issues and to answer questions on any matter that may be raised. A site visit was followed after the pre-bid meeting giving time for the contractors to examine the site of works and its surroundings and obtain all the information that may be necessary for preparing the bid. The Bid Opening will be on Tuesday, 3rd March 2015 at 2pm at the Tonga Airports Limited’s Head Office. The Pacific Aviation Investment Program (PAIP) is pleased to welcome the newest addition to the PAIP family, Mr. Aree Redfern. Mr Redfern is the new Project Manager for the Kiribati Aviation Investment Project (KAIP) who commenced today, Monday, 22nd September 2014. PAIP is very delighted to have Mr. Redfern on board and looks forward for a close collaboration. The first civil work for the Program will commence in Kiribati for constructing of the security fence for Bonriki International Airport in Tarawa. 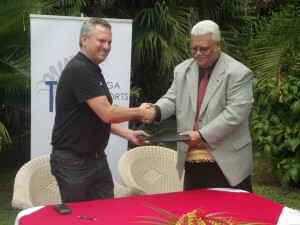 The Ministry of Communications, Transport and Tourism Development (MCTTD) award the contract to Fortech Construction Limited, Fiji to supply and installing of the new fence. The installation of the airport fence will not only increase the safety of the people surrounding the area but also the security of the airport environment. A ground breaking ceremony is scheduled for today, Monday, 15th September 2014 to celebrate the commencement of the construction. Information can be obtained from the Deputy Secretary for MCTTD, Ms Danietta Apisai by emailing danietta.apisai@gmail.com or telephone +686 26003. Do you spend your days slumped over a keyboard with back aches and cramped muscles? Join the TFSU team as they promote healthy living the modern way! New stand-up desks were brought into the office this week to encourage less sitting. The team believes the lack of physical activity is linked to current modern day health issues – diabetes, cancer, heart disease and even depression! Join the TFSU team as they kickback and work in style standing. Say goodbye to chairs and hello to stares !! 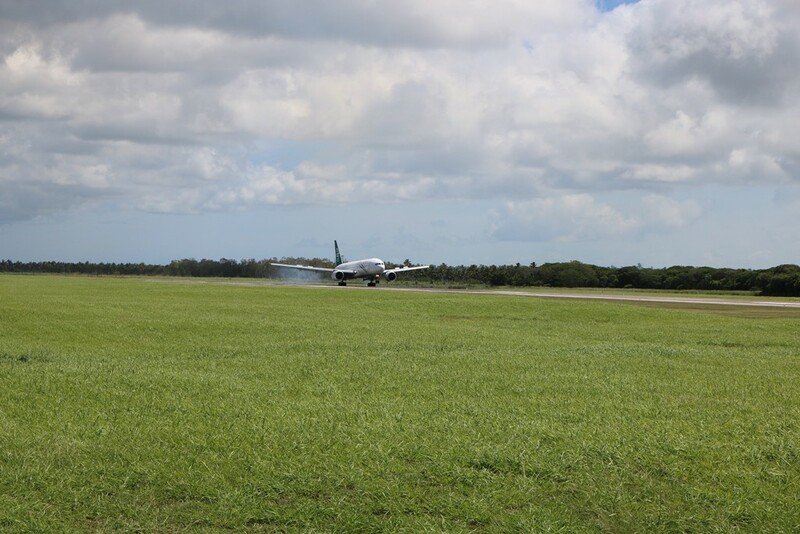 The signing ceremony for the contract to resurface Funafuti’s runway and marking as well as the resurfacing of Funafuti roads networks, was held on the 04th of August, 2014 at 06.00pm in the Vaiaku Lagi Hotel. The contract is between McConnell Dowell Constructions Pty Ltd and the Ministry of Communication and Transport (MCT) with an equivalent cost of around AUD$8m. 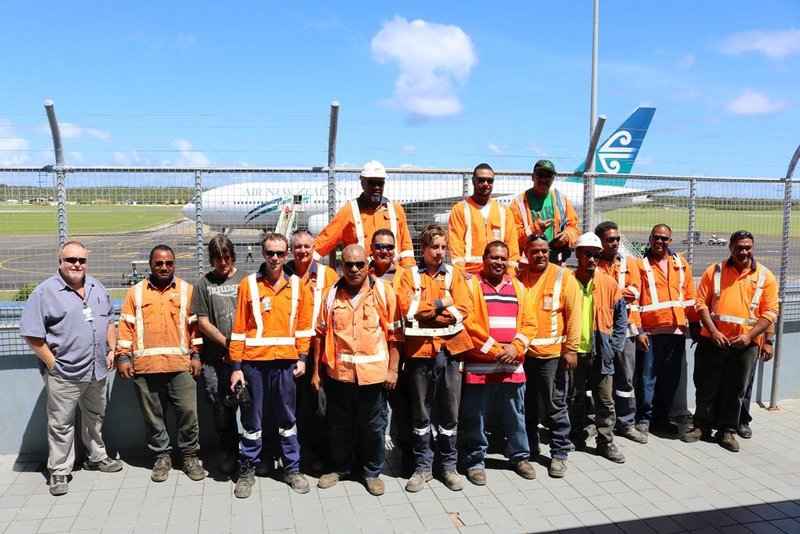 This is a significant accomplishment for the Tuvalu Aviation Investment Project (TvAIP), since it is the biggest construction activity in the project. The award was given to McConnell Dowell Constructions Pty Ltd after extensive and thorough evaluation processes were done. The company accepted the award with the official effectiveness of the contract to follow thereafter the signing ceremony. This contract will not only provide better infrastructures, but it is also expected to produce extensive employment opportunities and businesses for locals. Arrangements have also been made for locals to receive on-the-job-trainings with the company during the actual implementation or construction phase. This activity is expected to last for 1 to 2 years. 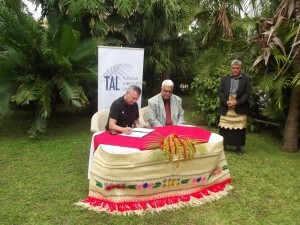 TvAIP is the first ever World Bank funded project in Tuvalu, with supporting financial assistances from the Pacific Region Infrastructure Facility (PRIF) and the Government of Tuvalu. 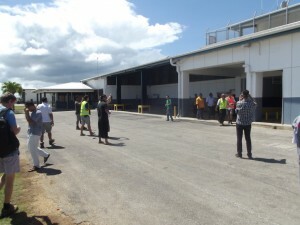 It is also by far the biggest infrastructure project in Tuvalu. The project started in 2012 with a duration of 5 years. 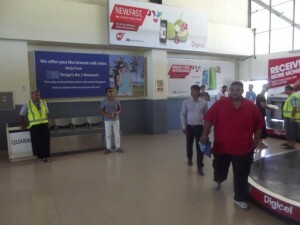 TvAIP is being implemented by the MCT. 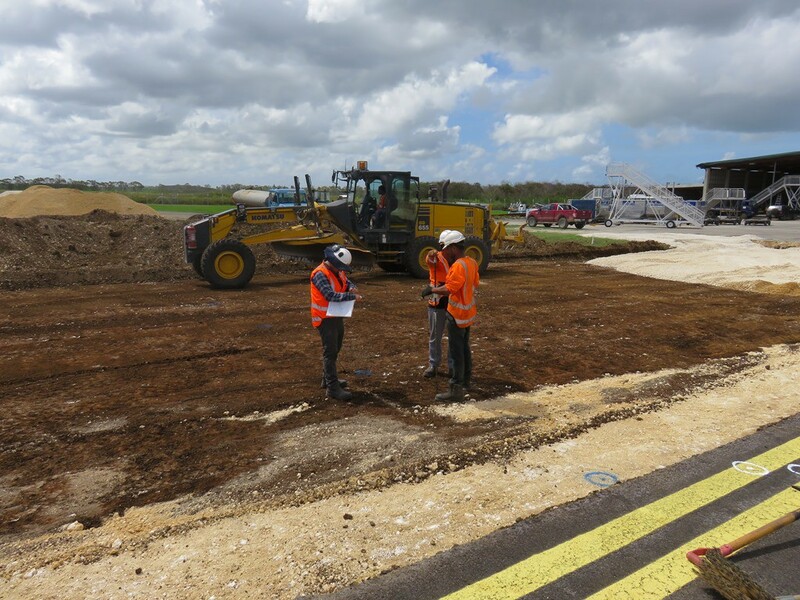 Today marks a major milestone for Tonga’s Aviation sector with the signing of the contract for resurfacing of the Airport Runways at the Fua’amotu and Vava’u International Airports. 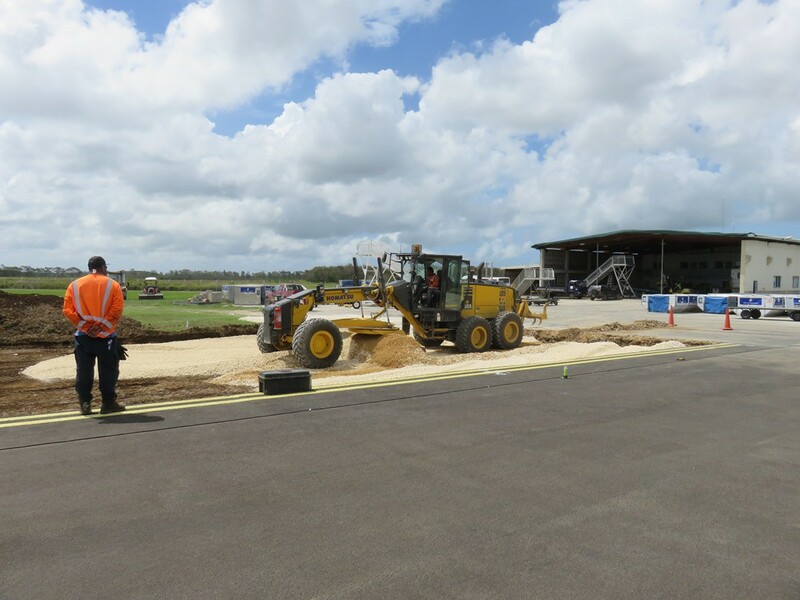 The contract signed by the Chair of the Board of Tonga Airports Limited, Mr Aisea Taumoepeau and Mr Mike Buckland of MacConnell Dowell Australia, marks the commencement of civil works to resurface the runways at the two International Airports. 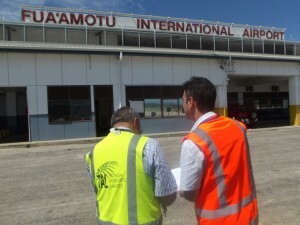 The project which will cost a total of 31 Million Pa’anga is being financed by the World Bank through the Tonga Aviation Investment Project, a component under the Pacific Aviation Investment Program. 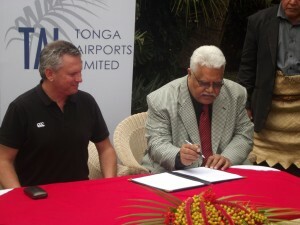 According to the Chief Executive of Tonga Airports Limited, Mr Viliami Ma’ake, “it is a joyous occasion for Tonga as this major investment will boost economic growth and sector expansion. Increased international flights and new travel routes will encourage more tourism and commercial activities for Tonga,” he said. “We are grateful to the World Bank for their continuous support in the advancement of the aviation sector both locally and regionally. 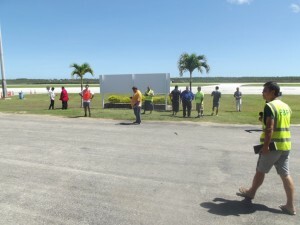 The new runways will make Tonga more accessible and will enhance connectivity to the rest of the world,” Mr Ma’ake said. Today’s event was witnessed by Board Members & staff of Tonga Airports Limited and CEO’s of Government Ministries. 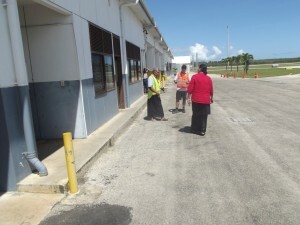 Airports in Tuvalu and Kiribati will also receive assistance to upgrade their runways through regional support under the Pacific Aviation Investment Program which is being financed by the World Bank. 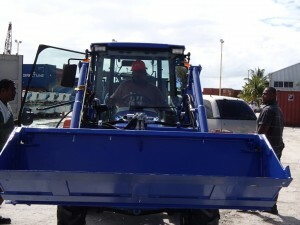 The Kiribati Aviation Investment Project (KAIP) delivered a new tractor with implements for the Bonriki International Airport at Tarawa, Kiribati. The Iseki TG5570 tractor and equipment, supplied by KC Farmer Equipment Australia, will be used by the Airport for regular grass maintenance, FOD removal and clearance and general maintenance tasks. The tractor unit comes equipped with a front end loader, Berends K70076 Slasher and an Aerosweeper for FOD removal. 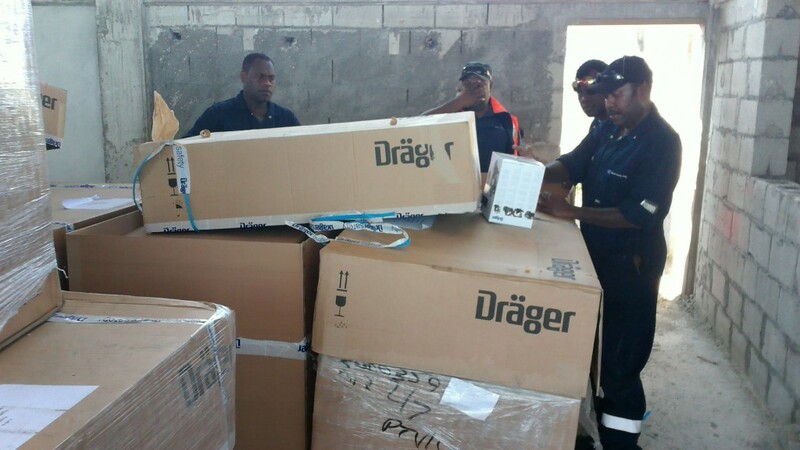 In order to ensure the tractor will serve the airport for years to come, the project also procured spare parts and tools to support the regular maintenance of the tractor and equipment. 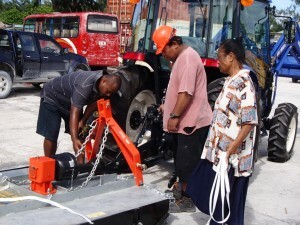 The Kiribati Project Support Team was on hand to take delivery of the tractor and manage the handover process to the Ministry of Communications, Transport and Tourism Development and Airport Management. The PAIP TFSU is delighted to welcome its newest team member, Mr. Siaosi Koheleti M Tupou to the team. 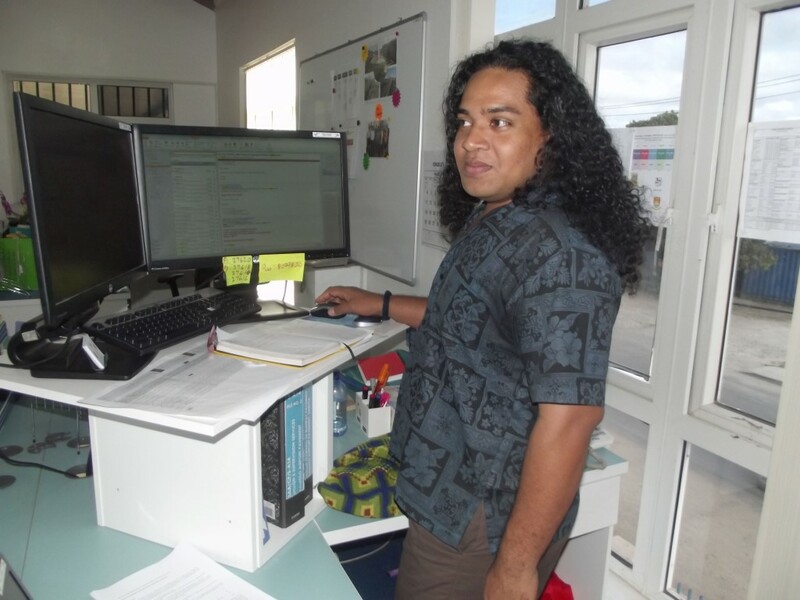 Mr. Tupou is our new Contracts Administrator and will assist our Contracts Manager, Mr. Charles Nepia in Contracts Management across the Program. Welcome to the team Siaosi! 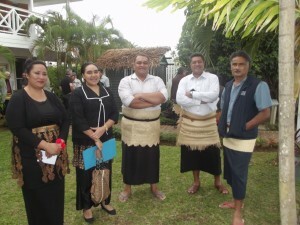 The PAIP TFSU wishes to welcome its newest team members, Ms. Helen Po’uliva’ati-Toli, the new Project Manager for the Tonga Aviation Investment Project (TAIP); Ms. Tatyana Nychyperovych from Canada as the new Periodic Procurement Specialist and Mr. Manase Vaoahi, new Procurement Officer. 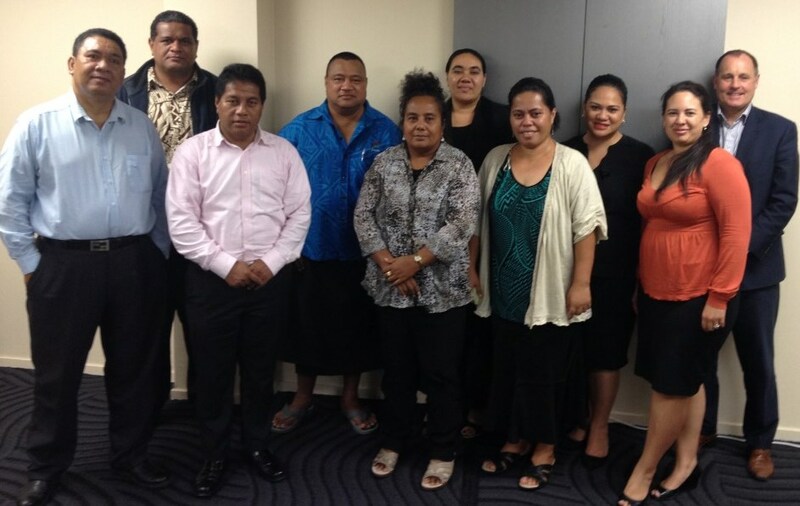 The second Program Steering Committee (PSC) for 2014 was held in Auckland at the Grand Chancellor Auckland Airport Hotel on Wednesday, 7th May 2014. 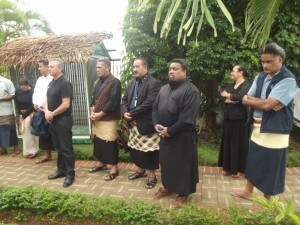 The PSC comprised of representative from each PAIP countries; Kiribati, Samoa, Tonga and Tuvalu. 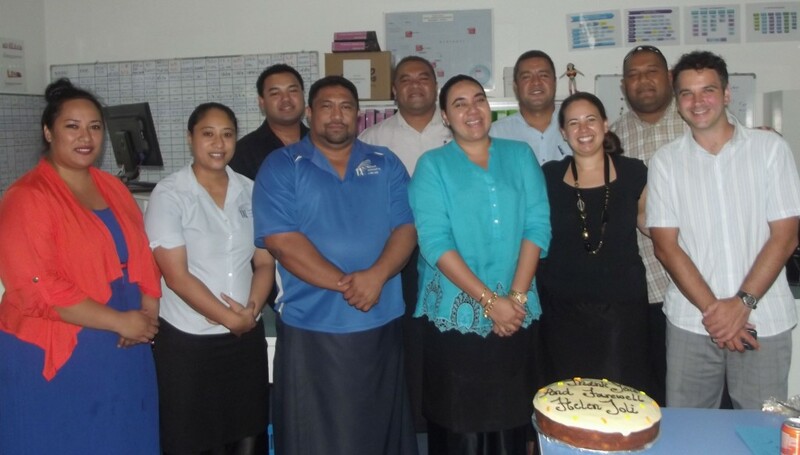 The PAIP TFSU was pleased to host auditors from Tuvalu and Kiribati in April and May 2014 in the TFSU Office, in Tonga. 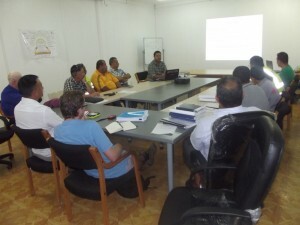 As part of their audit procedure, the Tuvalu and Kiribati Auditors visited the TFSU to undertake a financial audit of the program-wide TFSU cost-sharing arrangements and how these are implemented with their respective projects. 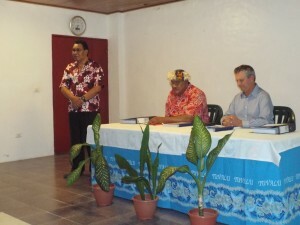 The Tuvalu team was led by Mrs Imase Kaunaku and Mr Mase Tumua . 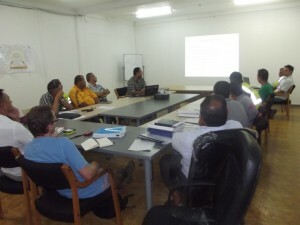 The TvAIP Contracts and Finance Manager, Mr. Tuafafa Latasi, also accompanied the auditors and took place from 3rd to the 10th of April. 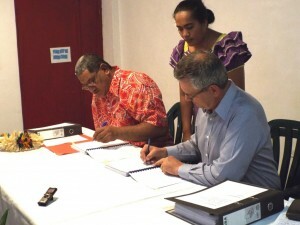 The Kiribati Auditors were Mrs Tuao Kabule and Mrs Tooti Ekieta. 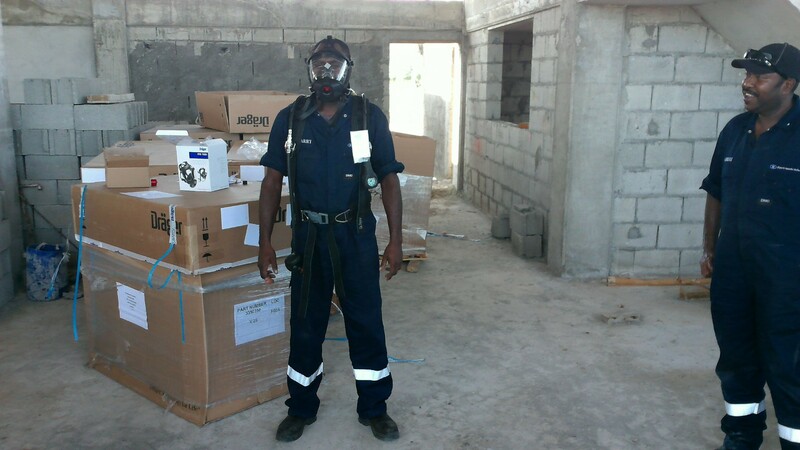 The Project Accountant, Mr. England Iuta, also joined the audit visit which took place from 8th to the 13th of May. 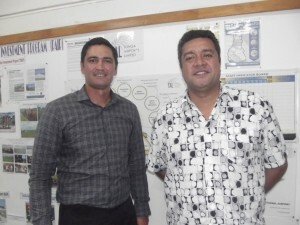 The PAIP TFSU finance team comprises of Mr. Makelasi Funaki, Financial Manager, and Mr Solomone Latu, Project Accountant. Both audit teams reported their satisfaction with the procedures and systems in place and PAIP TFSU along with the TvAIP and KAIP project teams are looking forward to the full audit reports as required by The World Bank, in due course. PAIP TFSU was pleased to meet and work with colleagues from our regional program, and look forward to continuing successful working relationships.